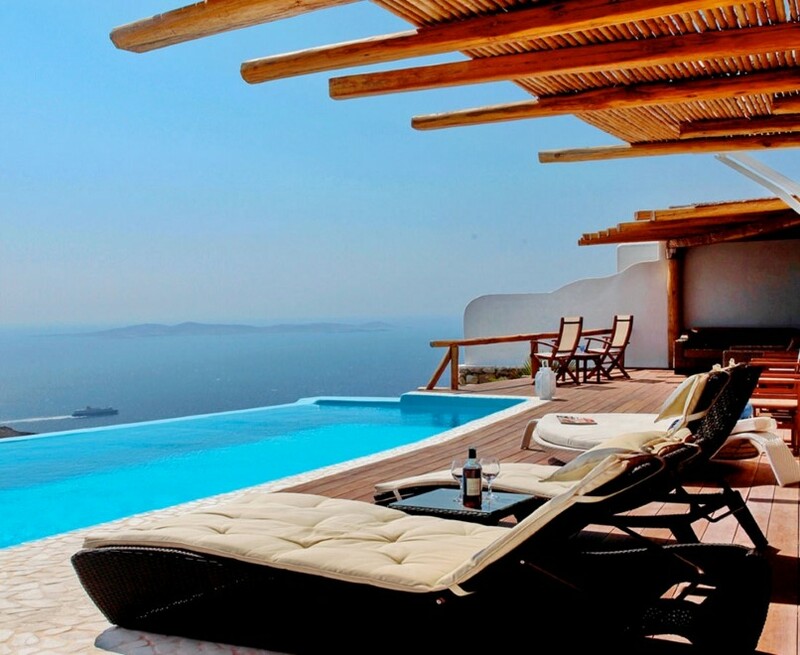 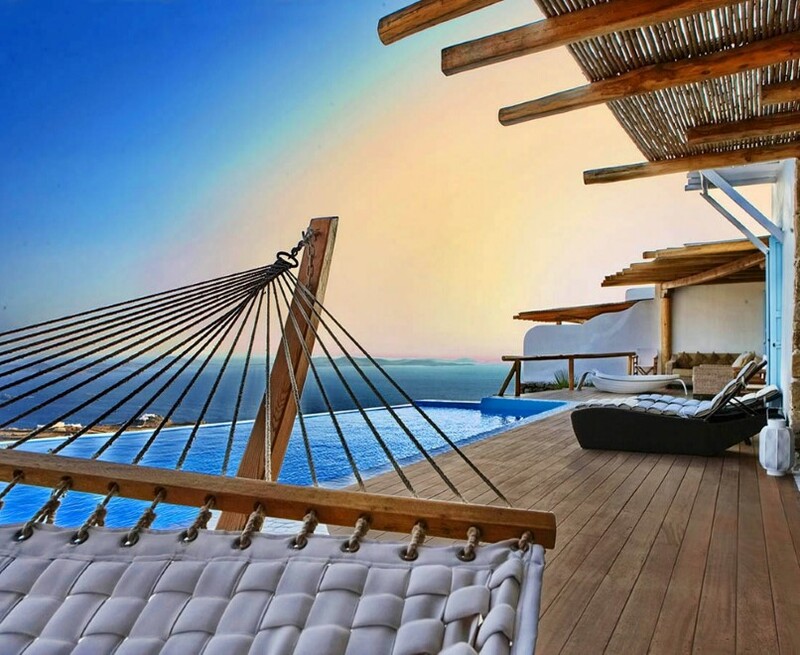 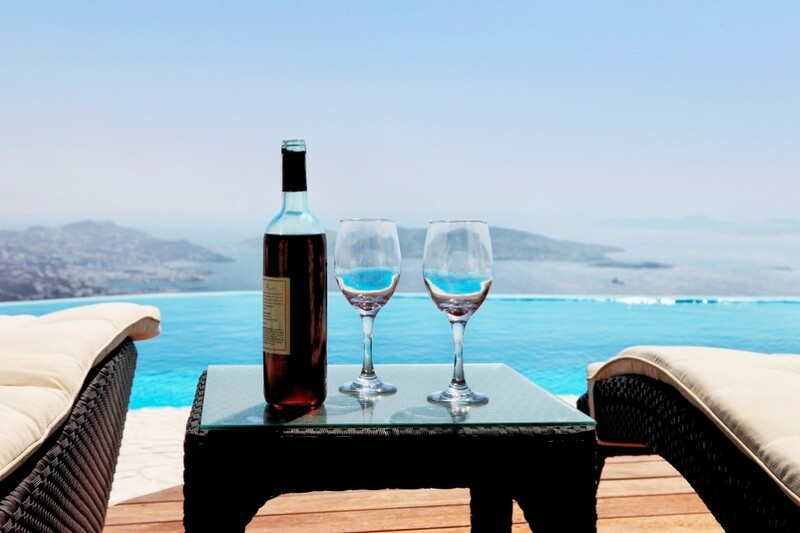 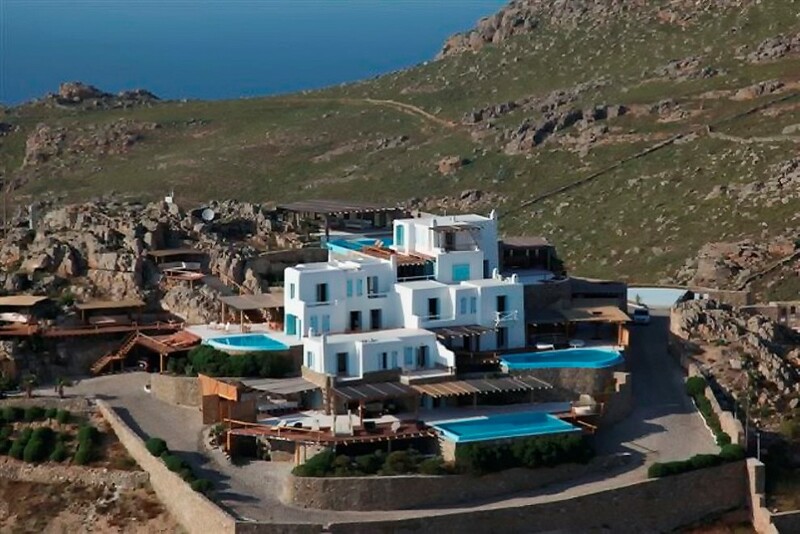 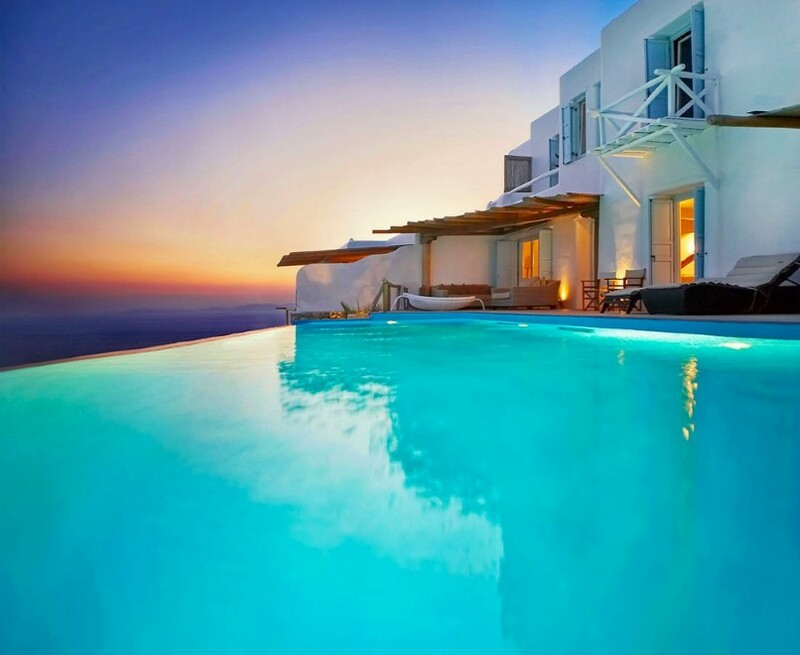 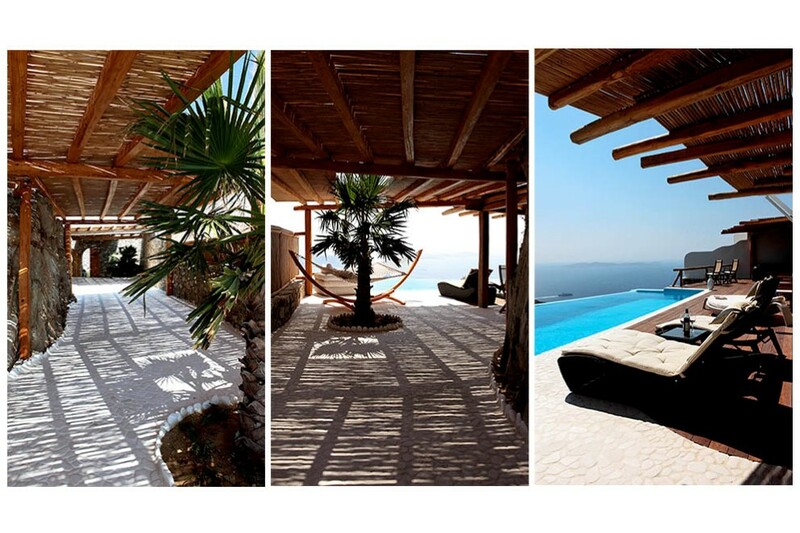 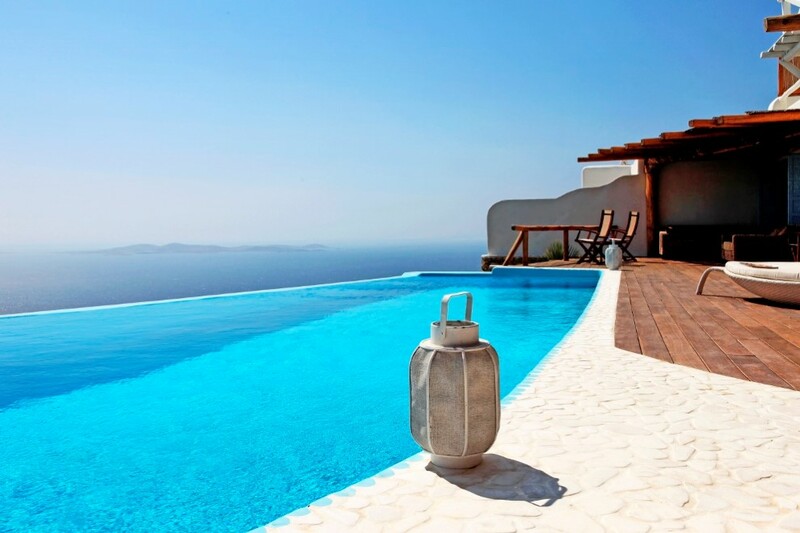 The luxurious “Horizon” complex dominates on the top of a hill in the area of Fanari enjoying the panoramic view onto the infinite blue of Aegean Sea and to Mykonos Town as well as to the neighbouring island of the Cyclades – Delos, Paros, Naxos, Syros and Tinos. 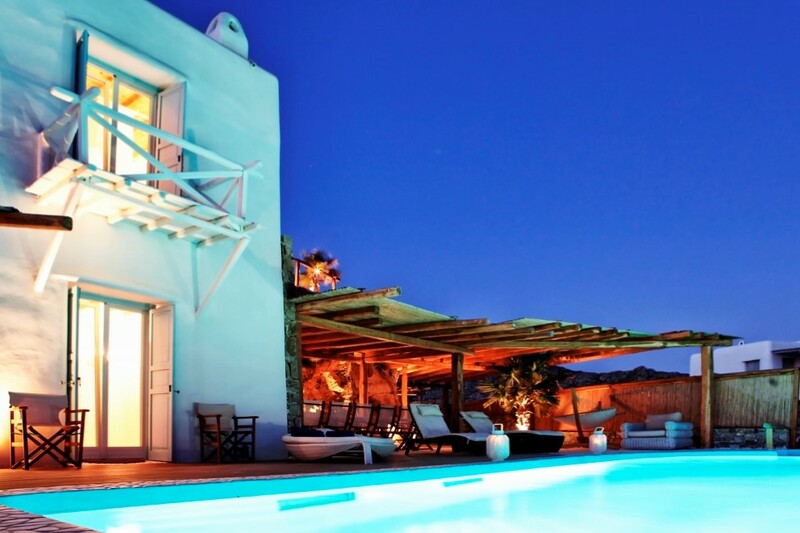 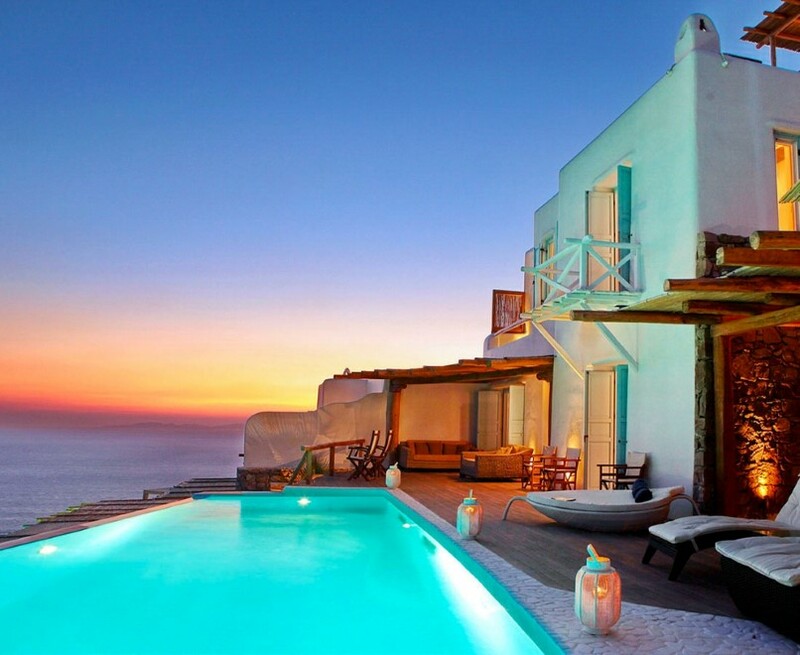 In the evening hours during the sunset unique hues create an idyllic atmosphere; while at night thousands of tiny lights simultaneously twinkling can be seen in Mykonos Town. 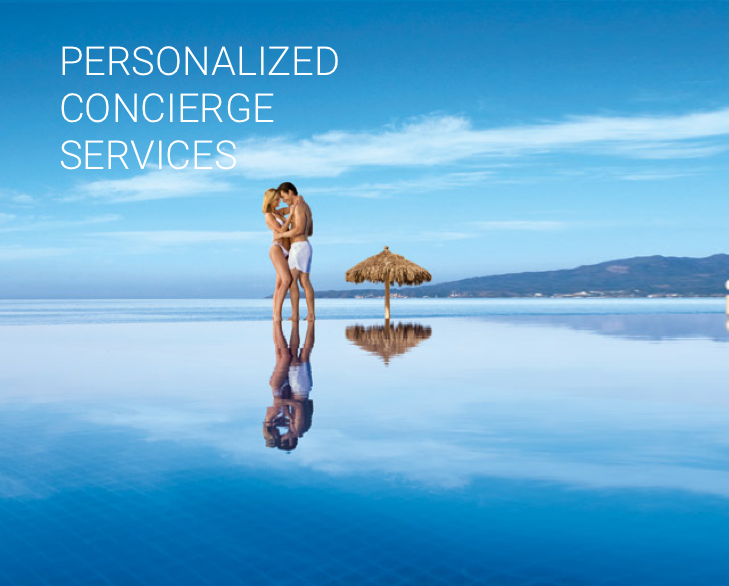 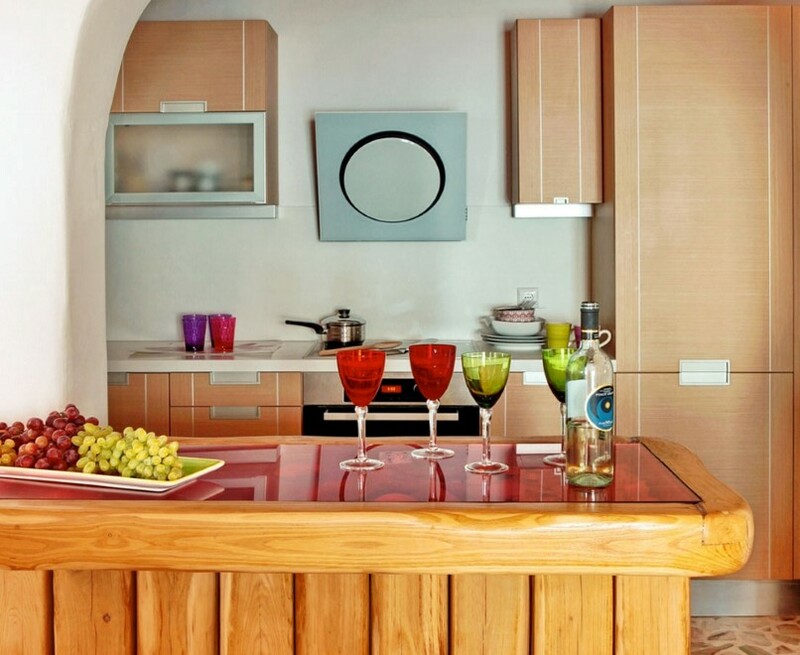 “Horizon” complex is comprised of four luxurious villas with a permanent staff. 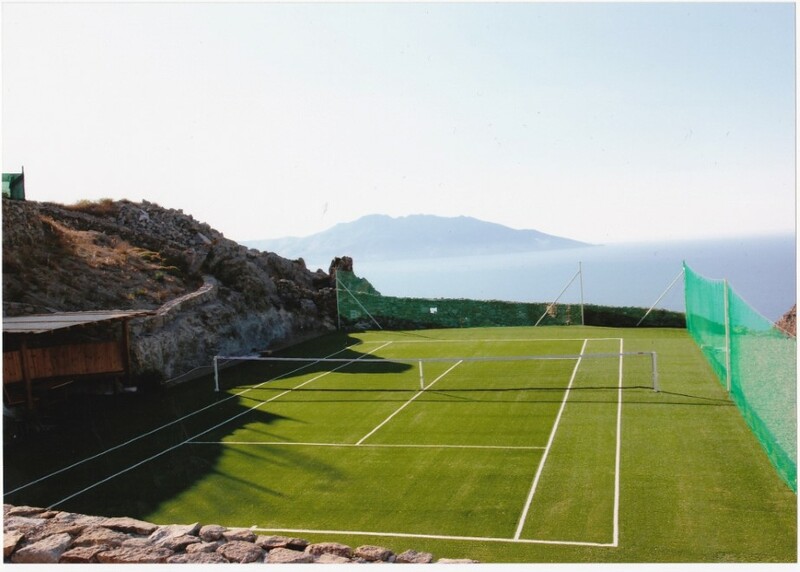 The complex provides unique facilities, such as a tennis court as well as the use of a heliport. 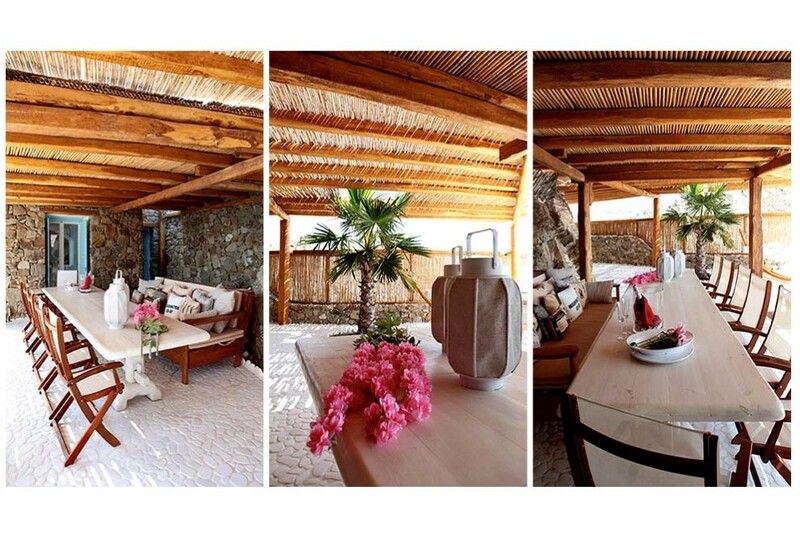 Villa “Horizon Three” stands on the upper right side of the complex and is reached by way of an impressive cobbled path. 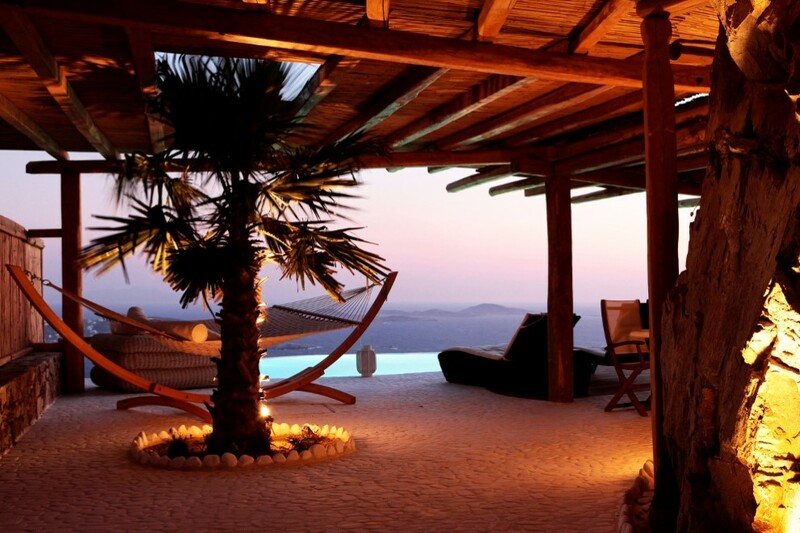 To the front of the villa a unique environment has been created. 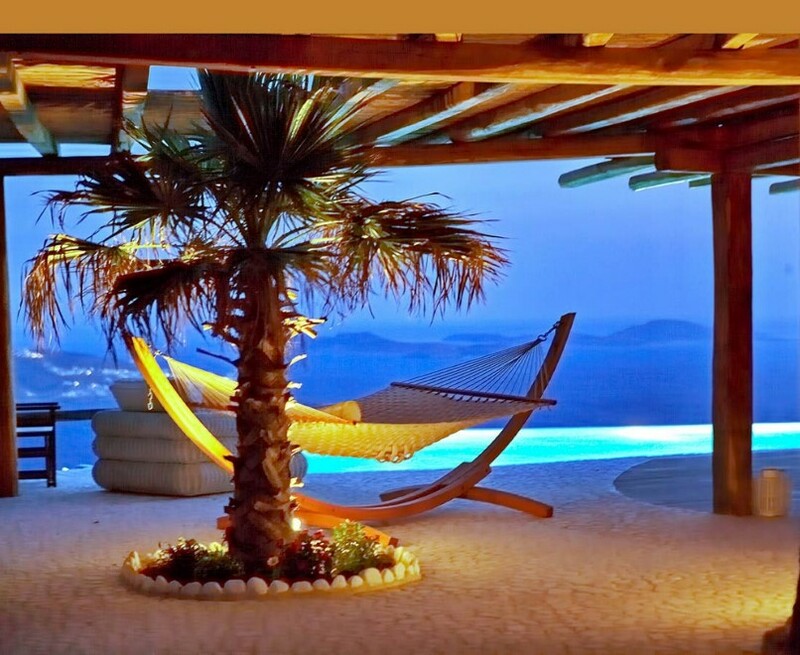 There is an impressive infinity pool behind which is a grand veranda with a pergola under which there is a settee as well as an impressive dining table. 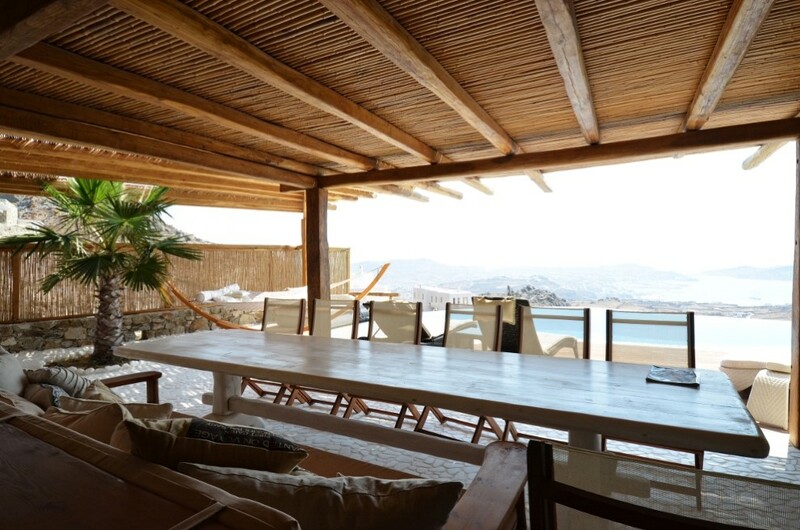 On the ground floor of the villa there is a tastefully decorated reception area with a stately dining table and a fully equipped kitchen enjoying the panoramic view of the Aegean and having direct access to the grounds. 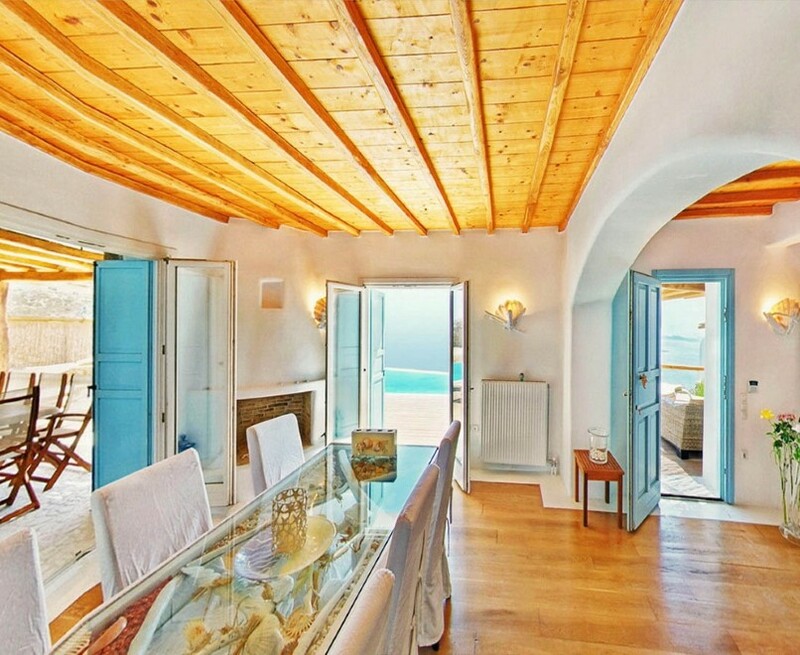 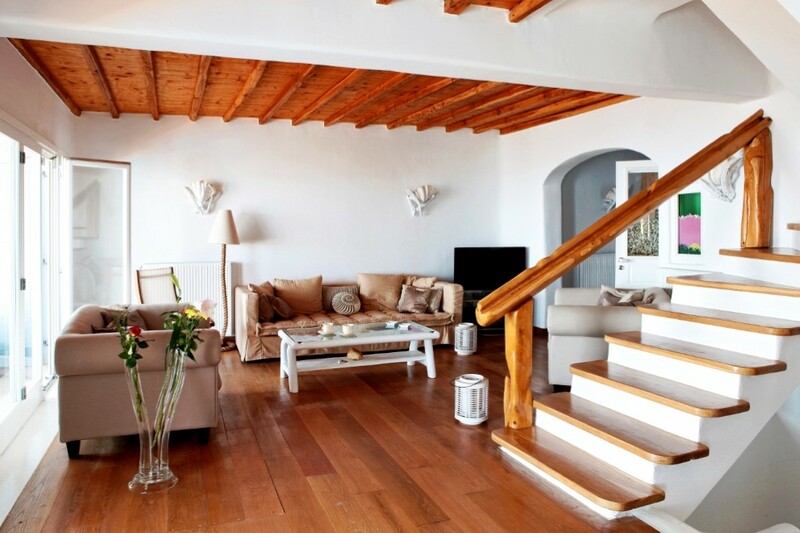 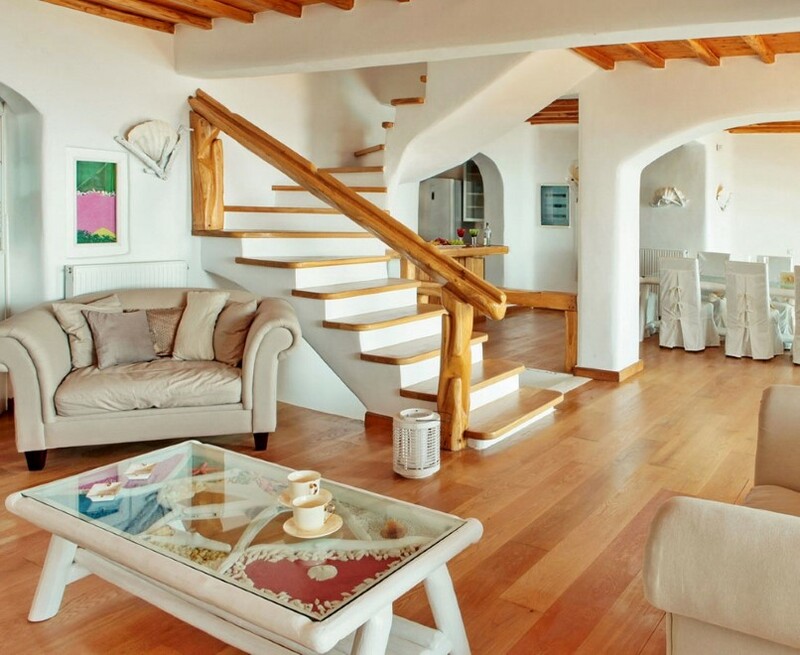 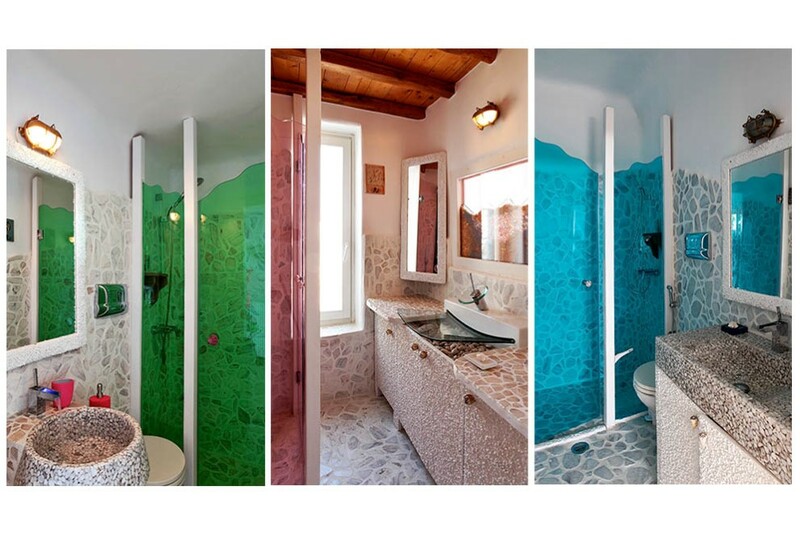 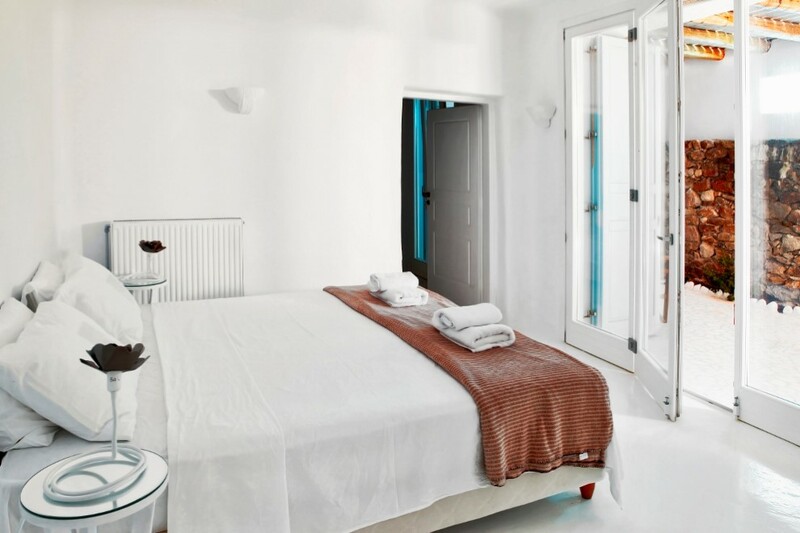 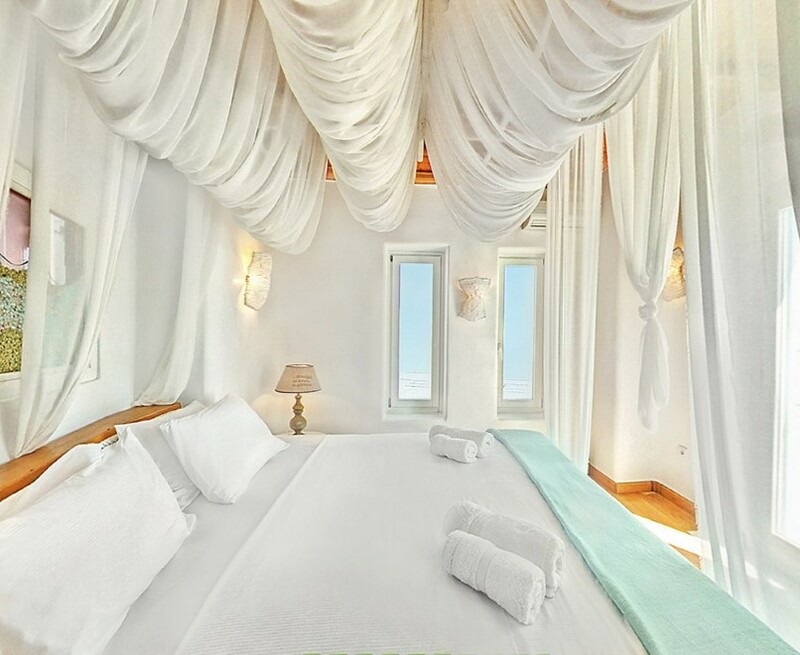 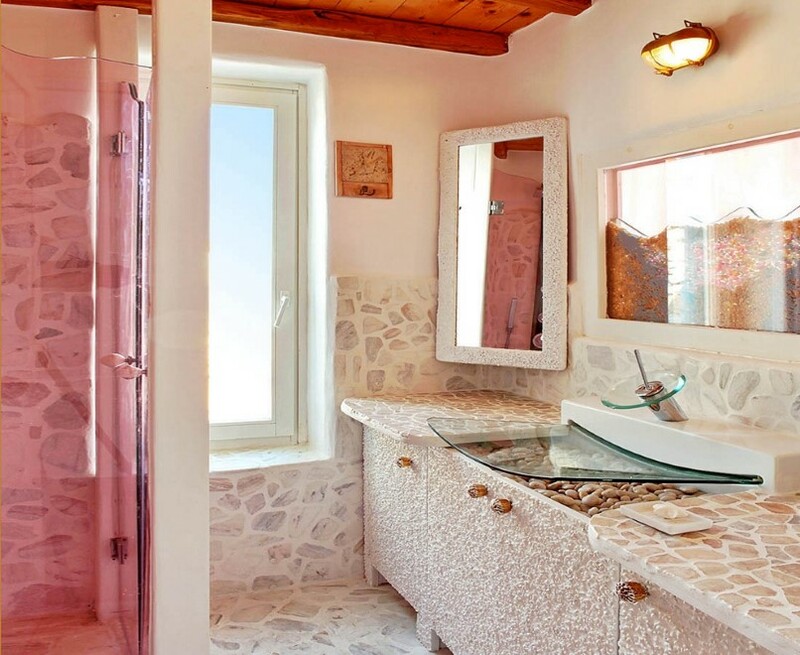 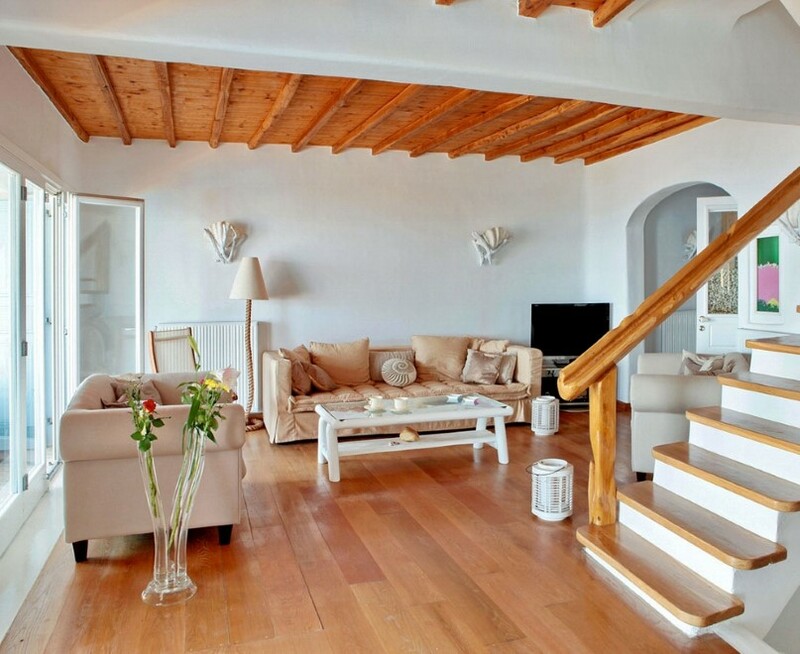 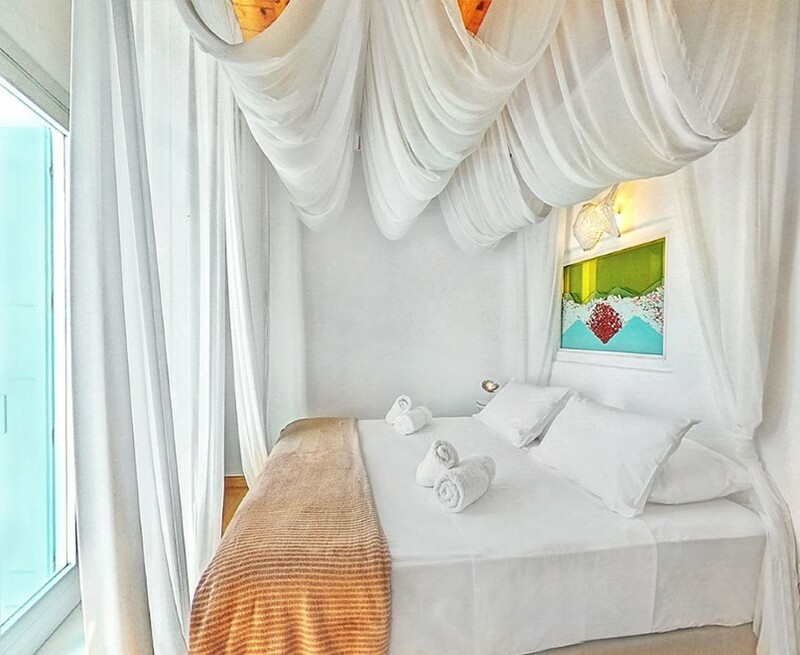 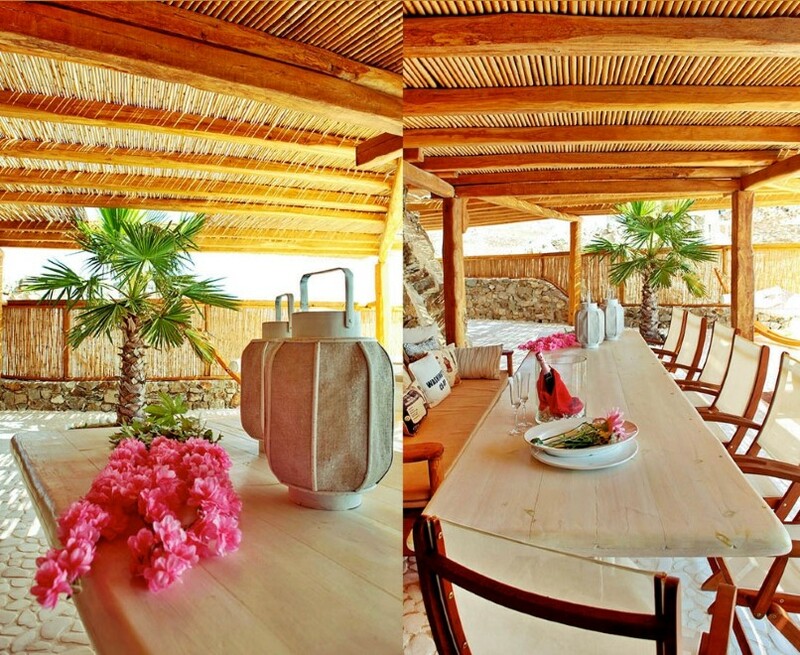 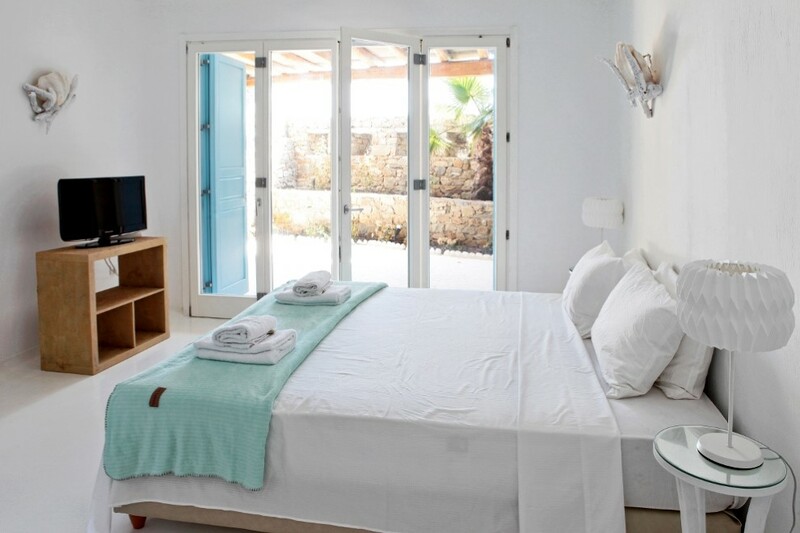 The villa has six spacious and comfortably decorated bedrooms promising an unforgettable stay. 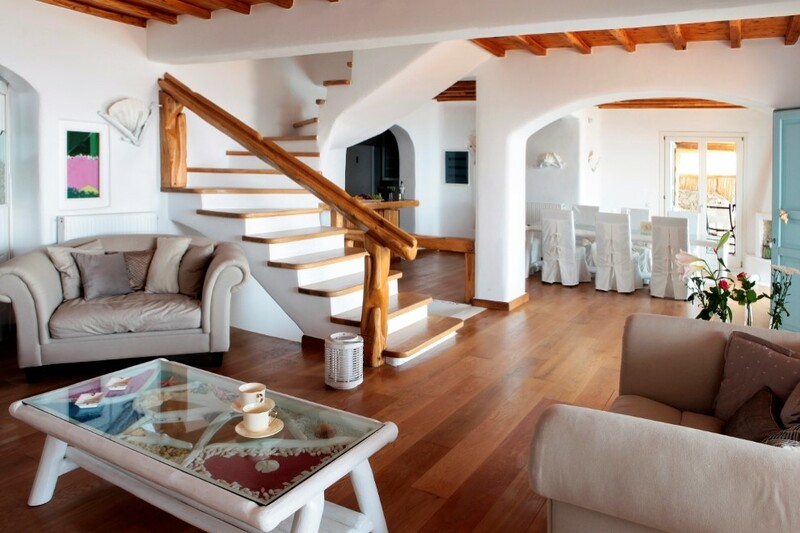 For larger parties villa “Horizon Three” can be let in combination with any of the other three villas of the complex, allowing comfort, luxury and independence.